Pro: "Real choice must include more than the choice of whether or not to have an abortion, and must begin with an informed choice about preventing unintended pregnancy. By providing all women with reproductive health care and family planning, as part of a program of health care as a human right, we can greatly reduce the need for abortion. Giving women real choices for education opportunities and good paying jobs will also reduce unintended pregnancies. Abortion is a necessary health care option, but will decline as women's choices expand upstream of unwanted pregnancy." Not Clearly Pro or Con: "The fundamental flaws of an economic policy dictated by Wall Street are apparent, even if they have sometimes been masked by periods of apparent growth that were actually financed by unsustainable credit card and housing debt. Wealth that should be invested in our local economy to create jobs is being put in the hands of the super rich who build factories abroad instead. Families disintegrate while the income of the richest few surges upward. This is changing America in a way that we must not accept." Con: "End the ineffective and costly War on Drugs and begin to treat drug use as a public health problem, not a criminal problem." Con: "It is terrible that some individuals now believe they can shoot Black people on our streets and get away with it, but it is not surprising given that they have seen that police forces across the country make use of racial profiling and that our prison and criminal justice systems reinforce racial disparities in every imaginable way." Con: "America's experience shows that capital punishment does not effectively stop crimes from being committed. And our judicial system makes mistakes, killing people who are innocent. It's time to move beyond capital punishment, to abolish it, and to instead use life imprisonment as the most severe form of sentencing for those who cannot be trusted to live in common society." Pro: "Jill Stein: What Obama's pointing to, General Motors, you know, as the example of the shining star of our success, is basically more of the same. Corporate profits are off the chart, they have recovered, CEO salaries are doing great, but workers have had their wages slashed. Not Clearly Pro or Con: "The developers and financiers made trillions of dollars through the housing bubble and the imposition of crushing debt on homeowners. And when homeowners could no longer pay them what they demanded, they went to government and got trillions of dollars of bailouts. Every effort of the Obama Administration has been to prop this system up and keep it going at taxpayer expense. It's time for this game to end. It's time for the laws be written to protect the victims and not the perpetrators. It's time for a new deal for America, and a Green New Deal is what we will deliver on taking office." We will honor workers rights, including the right to a living wage, a safe workplace, to fair trade, and to organize a union at work without fear of firing or reprisal. The idea that the Bill of Rights does not apply to you when you enter your workplace is an idea that says that you are only free when you are not working. That’s not acceptable in America." Con: "The wave of undocumented immigrants [in the US] resulted from the passage of NAFTA, which was as harmful to economies south of our border as it is to our own economy. People have come here who have lost their jobs, who can no longer support their families, particularly as we have destroyed the economy in South America by dumping agricultural products, as developed by NAFTA. That's where the real solution lies - renegotiating these treaties which have been harmful to American workers as much as they've been harmful to workers in other countries." Con: "A Green president would invest in wind, solar and geothermal, emphasize efficiency and conservation, phase out nuclear power plants, and move to a carbon-free economy to deal with climate change. We would immediately end Obama’s expensive subsidies for nuclear power as well as fossil fuels, and use those funds instead to kick off a job- producing energy program based on clean, safe and renewable energy." The Occupy Wall Street movement is addressing the root of these problems, and the 99% must be heard. Both the Democrat and Republican parties have broken America’s social contract by refusing to remedy — in fact, deliberately aggravating - our economic inequities." Con: "[W]e need to reject this facade of No Child Left Behind... which basically commodifies education, commodifies our children, and we need to return to a broad concept of educating for lifelong learning and teaching the whole student." Con: "In Massachusetts, our public schools and colleges are the cornerstone of our democracy and provide the foundation for our citizens' economic success. But now this vital system is under sustained attack from privatization interests who undermine public schools as part of an effort to advance charter school interests. Con: "Reverse the Citizens United ruling to revoke corporate personhood, and amend our Constitution to make clear that corporations are not persons and money is not speech." Pro: "Stein's Green New Deal, the cornerstone of her campaign, is a blueprint for action to stop climate change. The massive investment needed to transition to a carbon neutral economy by 2025 will provide the foundation for a revival of the American economy, putting tens of millions of Americans back to work while providing reliable, safe and affordable energy for our future. Con: "[T]he State Department makes it clear that the sticking point in their minds is the route of the pipeline. This fails utterly to address the critical issue - which is the amount of carbon that will be exhausted into the atmosphere from the Canadian tar sands. No matter which route is taken, this pipeline is a disaster for the planet. No further study is needed to come to this conclusion. As president, I would terminate this project so that we can move forward to a green energy future." Not Clearly Pro or Con: "America needs to go in a new direction. We are calling for a Green New Deal that would decisively end high unemployment and make a massive investment in solar, wind, energy efficiency and mass transit. We reject the President's assertion that 'all of the above' is the right answer when it comes to energy. We need to wean ourselves from the fossil fuels that pollute our land and water, motivate wars for oil, and which are pushing us to a climate catastrophe." Pro: "Current levels of fossil fuel use are already heading us toward indisputably catastrophic levels of global warming. Yet with emissions rising faster and faster every year, the Obama Administration has shockingly pushed an agreement to do nothing before 2020, ensuring that the critical time window for saving the climate will be missed. That the White House is responsible for this is unforgivable. People are already dying from climate change. Extreme weather changes have already inflicted tens of billions in damage. This is a mere hint of the far greater impacts we are already on track for. The clear solution to the growing worldwide economic crisis is to invest in a sustainable fossil fuel-free economy." Pro: "We can provide adequate warning labels for toxic contaminants in food and for genetically-modified ingredients. Consumers have a right to know what is in the food they are purchasing." Not Clearly Pro or Con: "It is more dangerous to the occupants of a home to have a gun than not. It's more likely that you'll be injured by your own gun than that you'll be defended against some intruder with that gun. It's an enormous public health problem in our cities-- there are tragedies every day where young people are being shot, as victims of gun crimes. It's tragic. We're not arguing that nobody should have a gun--but public safety should factor into constraints." Not Clearly Pro or Con: "For public safety, gun ownership should be appropriately regulated." Con: "I will replace ACA with improved Medicare for All, which provides quality care while saving money... ACA makes a profit-driven system even more expensive by adding complexity ('exchanges') to an already massive bureaucracy. Crafted by insurers, it provides $400 billion in taxpayer subsidies for stripped-down policies that enrich insurers while forcing consumers to buy the inadequate plans through a mandate. Costs continue to skyrocket, as seen with the Massachusetts plan (on which ACA is based), impoverishing consumers, businesses and government while draining resources from safety-net hospitals and threatening care for tens of millions who'll remain uninsured." Americans spend far more money on health care than other industrial democracies but have a poorly performing health care system, ranked only 37th in the world, due to the cancerous burden of private health insurance. Obama and the Democrats turned their backs on Medicare—a proven solution. Instead they enacted a health insurance mandate whose prime goal will be to increase insurance company profits." Pro: "[I]t’s time for the United States, the richest country in the world, to catch up with the rest of the developed nations and provide health care for everyone as a human right. We can do this through a Medicare for all system that will not only provide quality health care - it will save trillions by streamlining the massive health insurance bureaucracy and ending runaway medical inflation." Not Clearly Pro or Con: "Grant undocumented immigrants who are already residing and working in the United States a legal status which includes the chance to become U.S. citizens." Con: "The human cost of this escalating war on immigrants includes families torn apart and children emotionally traumatized, the expansion of racial profiling in policing, and the reinforcement of a caste system in which undocumented workers form the most vulnerable and exploitable level in the labor force. We must end the systemic practice of detention and deportation of immigrant women, men, and children. We must reverse the militarization of our borders and the federalization of our local police." Con: "We must end the systemic practice of detention and deportation of immigrant women, men, and children. We must reverse the militarization of our borders and the federalization of our local police. Undocumented immigrants who are already residing and working in the United States, and their families, should be granted a legal status which includes the chance to become U.S. citizens. Our priorities for immigration reform must include family reunification, asylum for political, racial, gender, and religious refugees, and the normalization of border crossings throughout North America." Con: "As we found on issue after issue — the war, reappointing George Bush’s secretary of defense, sticking to George Bush’s timeline on Iraq, expanding the war, expanding the drone wars all over the place... We’re certainly not more secure, more equitable, more healthy or safer internationally, with what Obama has brought." Con: "We are not out of Iraq - we should be out of Iraq and we are not. We never should have been in Iraq. We have spent perhaps $1 trillion, lost nearly 5,000 American lives, and probably 100,000 or perhaps one million Iraqi lives. It's an unspeakable shame that this war occurred at all. A war caused by lies and military opportunism. A war that has conveniently secured some oil supplies for the US and the West but what a horrible price that has been paid for that illegitimate bounty." Pro: "I’m proud that I don’t have to change my position to match the polls. I have supported marriage equality since at least 2002, when I ran for governor. And I’m going to continue to work to eliminate this insidious form of discrimination. President Obama is still enforcing the Defense of Marriage Act - and that has to stop. And the President is saying that its acceptable for individual states to discriminate. I believe that when it comes to basic rights, it’s improper for a President to treat them as local options. The federal government is charged with defending the human rights of all people, no matter which state they live in." Pro: "Our current approach to the regulation of marijuana is a failure. It has resulted in a massive black market that is creating violence in our communities and pouring hundreds of millions of dollars each year into the pockets of criminal supply networks. Taxpayers are footing the bill for ineffective law enforcement efforts and unnecessary judicial expenses. And the most that can be achieved is to keep a few people from purchasing an herb that appears to be much less harmful than alcohol or tobacco. 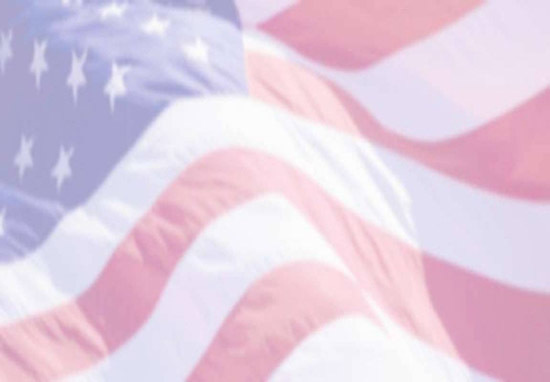 ...[W]e absolutely must strengthen our economy here at home this is where our true national security lies... That's why my campaign and the Green Party are calling for a Green New Deal now, an emergency program that actually puts our dollars, including hundreds of billions of our war dollars, into actually creating true security here at home." Con: "It is an outrage that 1021 NDAA was ever passed to start with. It's an incredible betrayal of our civil liberties that the President has assumed dictatorial rights to put us in prison at his pleasure without charge or without trial. Occupying public spaces as protest is a constitutionally protected form of free speech. I call upon local, state and federal officials to stop attacking the Occupy Wall Street movement. I also call upon our courts to enforce the constitution and protect the first amendment rights of the occupiers." Pro: "The Green New Deal creates a Corporation for Economic Democracy, a new federal corporation (like the Corporation for Public Broadcasting) to provide publicity, training, education, and direct financing for cooperative development and for democratic reforms to make government agencies, private associations, and business enterprises more participatory. And speaking of the public broadcasting, the Green New Deal strengthens media democracy by expanding federal support for locally-owned broadcast media and local print media." Jill Stein: ...I try not to shoot from the hip, and actually consider these things before taking a position on them, and I would have to say that I would do that. But at first blush I would agree with the principal here of separation of church and state, which would seem to say we should not give special favors to employees of religious institutions that certainly sounds true." Con: "This proposal to turn our Social Security system over to private corporations would lead to huge losses for retirees who depend on Social Security. And it would create investment risks that cannot be tolerated in our Social Security program." Pro: "Q: Should the federal government fund stem cell research and legalize its development in the private sector? 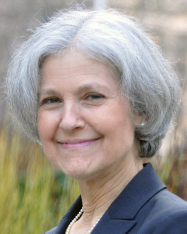 A: [Jill Stein] Yes, allow the exploration of any stem cell regardless of the source." Con: "Demilitarize US foreign policy to emphasize human rights, international law, multinational diplomatic initiatives and support for democratic movements across the world." ...[T]he costs of creating these jobs would be less than what was spent in the Obama stimulus package, which essentially created two million jobs, which were good and probably blunted a worse catastrophe and did add some jobs in the area of the green economy, but ultimately wasn't of sufficient magnitude to really fix the problem. So, this will do a whole lot more. The cost for the stimulus package worked out to be about $220,000 per job created, because the mechanisms were indirect and relied a lot on tax incentives, which don't always get used to create jobs. This, instead, would be money used directly to create jobs and would be more like $20,000 per job created." Pro: "...[W]e're calling for a fair tax system. So we have, for example, a financial transaction tax, which would bring hundreds of billions of dollars into the economy; an offshore tax haven tax; and a progressive tax on millionaires and billionaires." Pro: "When corporations and big money dominate our elections, government of, for, and by the people cannot take root. For this reason, we urgently need to amend our Constitution to make clear that corporations are not persons and money is not speech. Those rights belong to living, breathing human beings like you and me - not to business entities controlled by the wealthy." Not Clearly Pro or Con: "Demilitarize U.S. foreign policy to emphasize human rights, international law, multinational diplomatic initiatives and support for democratic movements across the world... Make human rights and international law the basis of our policy in the Middle East."